Foreign exchange is essential to coordinate global business. Foreign exchange management is associated with currency transactions designed to meet and receive overseas payments. Beyond these transactions, foreign exchange management requires you to understand the relevant factors that influence currency values. From that point, you may execute the proper strategy to manage risks and improve potential earnings. Foreign exchange management begins with trading currencies to exchange goods and services overseas. International businesses convert overseas profits back into their domestic currency to spend at home. Meanwhile, consumers exchange domestic currency for foreign banknotes to buy overseas goods. These transactions occur within the foreign exchange markets, where networks of private individuals, banks and organized financial exchanges provide the infrastructure to trade international banknotes. Foreign exchange occurs at rates that are associated with currency valuations. Foreign exchange rates describe the amount of one currency that must be given up to receive one unit of another currency. Foreign exchange rates parallel the political and economic environment of a particular country. For example, domestic foreign exchange rates appreciate when the economy is strong and the currency is in high demand to buy the nation’s stocks and real estate. Conversely, currency values fall amidst political and social instability. Foreigners generally liquidate business assets in war-torn nations that struggle with development. Effective foreign exchange management requires you to preserve purchasing power by staying current on any events affecting rates and operating accordingly. You will exploit the buying power of high exchange rates to acquire overseas goods. Alternatively, low exchange rates are an opportunity to boost overseas sales, as your wares become relatively cheaper overseas. Government officials manage foreign exchange reserves to influence the domestic economy. On the national level, low exchange rates are ideal for exporters, while strong currency valuations benefit consumers with increased purchasing power for imports. Treasury leadership may spend domestic currency to buy large amounts of foreign exchange, which effectively devalues the home currency. As of April 2010, China has purchased more than $900 billion in U.S. Treasuries, which devalues its yuan and supports its export economy. Foreign exchange risks describe lost profits and purchasing power related to adverse currency movements. Canadian businessmen that hold reserves of Japanese yen suffer when the yen falls. Alternatively, Canadian exporters lose out on sales when Canadian dollars strengthen and make their goods more expensive for foreign buyers. 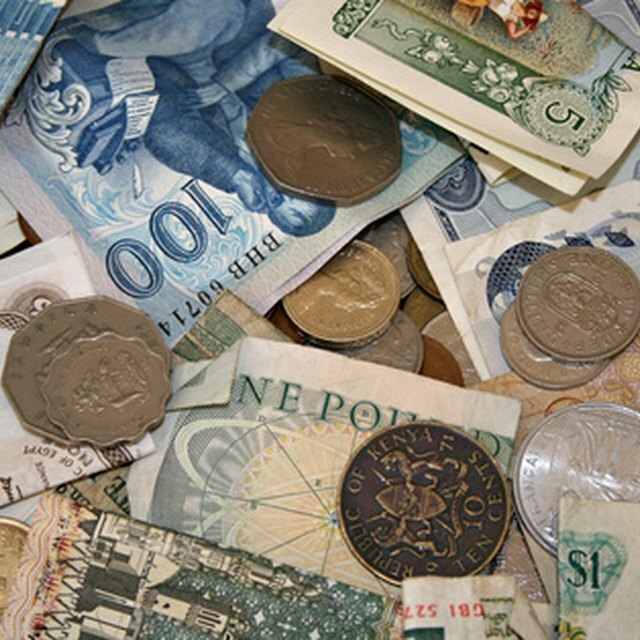 Foreign exchange risk management calls for diversification. Large corporations expand multi-nationally to balance currency risks. For example, elevated energy costs benefit resource-rich nations and currencies, while industrialized energy importers are subject to recession and inflation. Caterpillar is a multi-national corporation whose profits in oil-rich Russia may exceed any lost sales in America at that point. Smaller investors, however, that lack the finances to set up multi-national enterprises can diversify accordingly with global mutual funds.